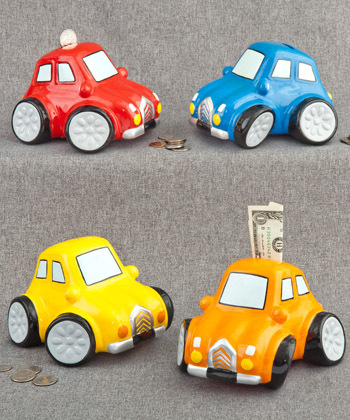 Your customers are sure to get revved up about these adorable car banks. Offered exclusively from Gifts by Fashioncraft, these four-wheeled wonders come in four bright color combinations. So, take these cars for a spin and get ready to drive up your sales.